One thing that definitely improved since I arrived in Luxembourg ten years ago is the availability of food delivery websites. I remember at that time, if you were lazy or hangover, the only reasonable options you had were to drive to next Mac Donalds or to call a very bad pizza guy from a kebab house. I will go quickly through the websites I usually order and my favorite delivery places and then some favorite options. There are other websites you can order, like Eat Me, that is very user-friendly, had delicious food proposals but unfortunately in Luxembourg city is only available for delivery in Kirchberg (but works fine if you live outside the capital and has also take-away and shops). 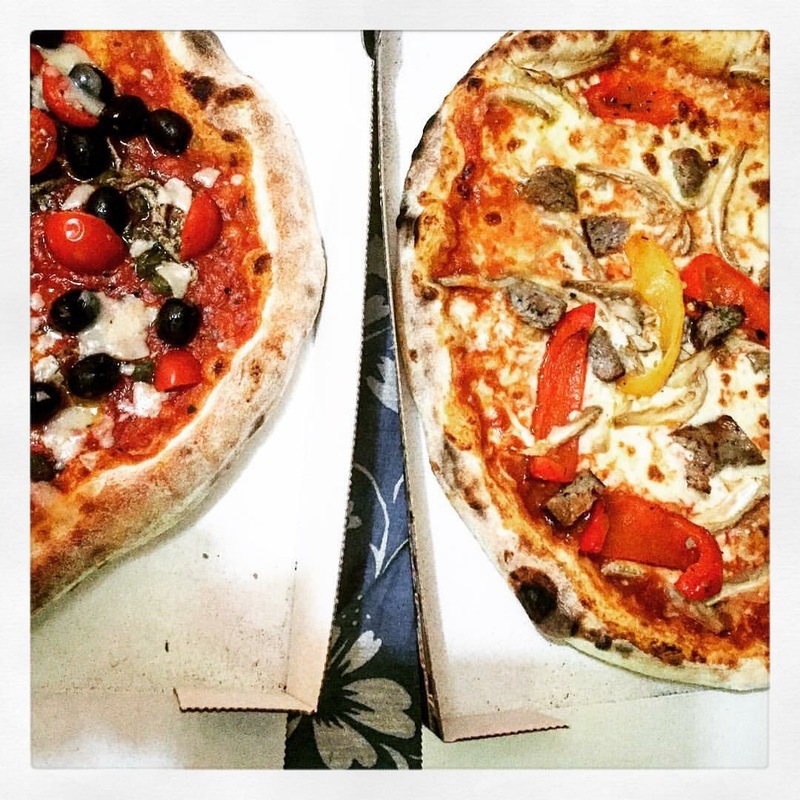 There are also many restaurants, like Namaste, Rusticana, Everest or Sushi Shop that offers direct delivery from their websites – not bad either if you know already what you are up to. Regarding multiple options sites, these are my favorite choices. Unfortunately I can judge only places in my area, but please comment with other nice places you have tried in order to share! Check below! Love the pizza here because it always comes still very hot and they have also a “Family size” that is perfect for big appetite of for sharing. Toppings are very “Italian” and the delivery is always pretty fast. Unfortunately they are closed on Saturday lunch time and Sundays that are the days I use the delivery most. When I Quattro Mori is closed, we tend to order from Mama loves you, as the delivery is also relatively quick and the pizza is very tasty, even if a bit smaller in size. Only downside: prices are not very competitive. I think I tried all the Indian deliveries in Luxembourg, as I love Indian food. I really find the Royal Begala/Bay of Begala the really best one. Portions are very fair, tastes are great, food is coming extremely hot even if they are pretty far from where I live and every order you got a free beer. Downside, in rush hours the delivery is very slow – once it took even 2 hours. Not good. Moreover the minimum delivery is around 30 euro, so not ideal if you are alone. Personal Favorite: Mushroom Soup and Madras Vegetables. For sure if you are ordering Chinese food you don’t look for anything sophisticated. Mr Wok is really cheap one, minimum delivery is 15 euro, they are super fast and they always offer you a portion of shrimp chips and a drink with the delivery. As said, don’t expect gourmet food, but something fair enough to avoid a walk of shame to the next kebab. To be honest, I tend not to order much sushi at home. I really dislike Sushi Shop – I find prices terribly high and the rolls quality and presentation, above all during pick hours, is ugly. I tried several more places in the meanwhile, most of them were Asian kitchen restaurants converted to sushi. Quality was definitely low as well as taste. I tend now to order or to take away from Sushi and More. The prices are fair (lunch combo are for about 11 euros), they are doing only sushi and the food is pretty good. Still not the best, but definitely better than others I tried. If you are following my blog, you know I eat everything – really, there’s nothing I have or would not tried/try. But I am picky – cleanness, presentation, atmosphere of places are very important to me. With one, huge exception: hangover meals. In this case, I think I really eat in every condition and every type of ugly food. If you are like me, the place to order is definitely Planet Pizza. 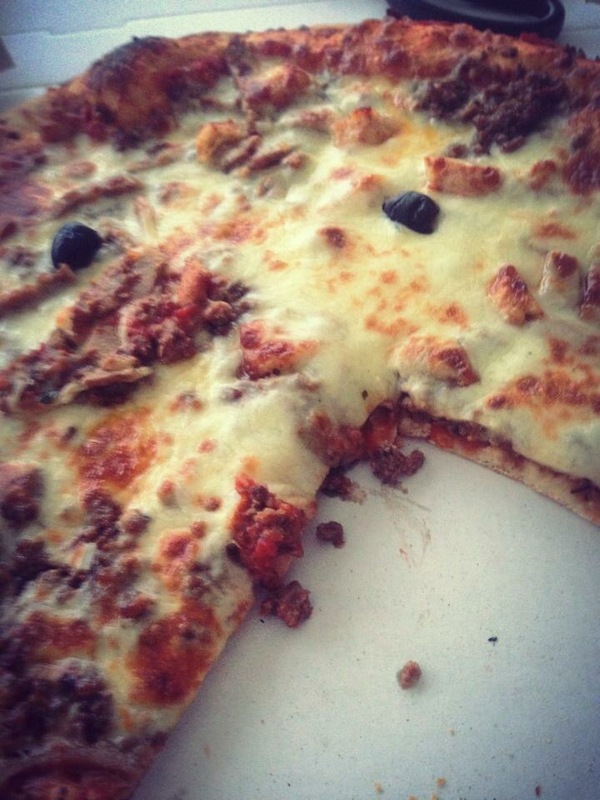 They have these huge XL pizza with weird ingredients – potatoes, kebab, meat, raclette – chicken wings, fajtas, burgers. Quality is low, food is greasy, but it definitely might be the place to order for some you after a big night out. Claire – thanks for your comment. I used to order from them a lot in the past when no other options were available. Last time I did it they took more than2 hours to deliver – even if I made my order at 11 am -. I also requested to pay by card – there is this option and rarely I have cash with me – but the guy forgot the machine so he came back 3 hours later and I had to wait for him… Maybe it was just a bad day! Argh, that’s terrible! It might have just been a bad day, true. I agree re. paying by cash vs by card – it’s much preferable to pay by card, and it’s always a bit of a scramble to check that there’s enough cash!! We usually order things through Foostix, which I think is pretty good. But I still have to get used to the fact there are not many restaurants that deliver in the area we live. 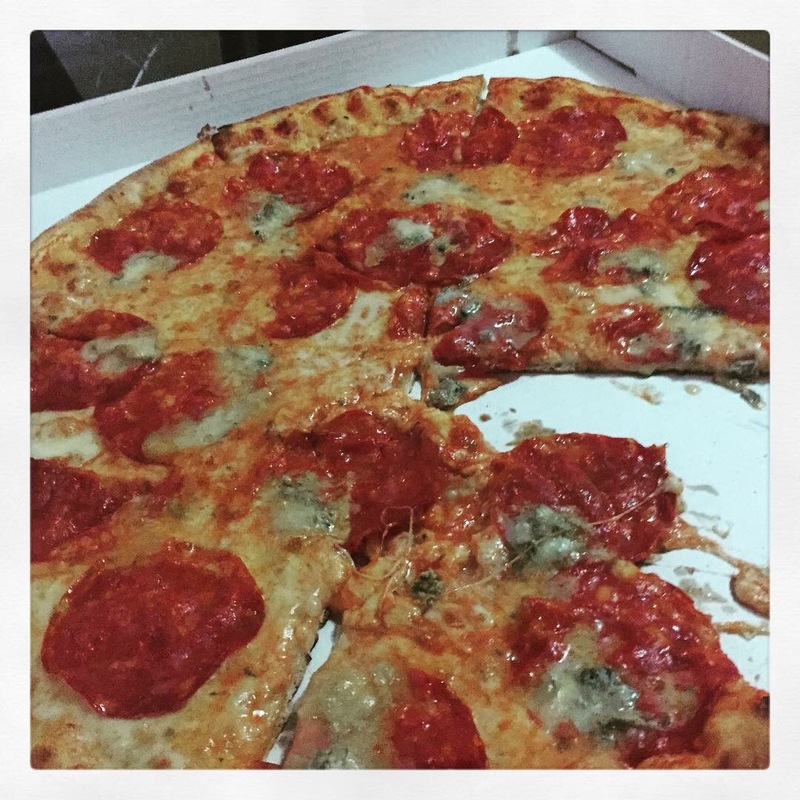 We only have the choice between pizza and Thai food. Have you tried Eatme? Most of their locations are out if the city. I almost never order online these days because I live in a remote location and only a couple of local pizzerias deliver. Since my address cannot be found on a GPS, the delivery men have a hard time finding the place, so I don’t bother ordering at all… Great post though, always good to know what options there are in case I need to have food delivered to a city centre location! Yes, I know that this might be one of the advantages of living in the city.. But as someone said, I would like sometimes not to be so lazy and cook. Thanks for your comment! You guys should definitely try http://www.wedely.com , best restaurants choise and best delivery service! Me and my daughter have ordered from them 19 times and always on time or even before ..
Dear Corie, this is wedely.com customer care. We cannot find your subscription on our website to check the deliveries details of your orders. We will be happy to know more about this and to give you a discount for your next order! Thank you for coming back to me. Indeed the account is logged under my family name. I will send you a private message. Nice. I like the pictures used in this article. Information provided above is really useful. Thank you so much for sharing this. Mobile friendly food delivery apps has made the things easier.